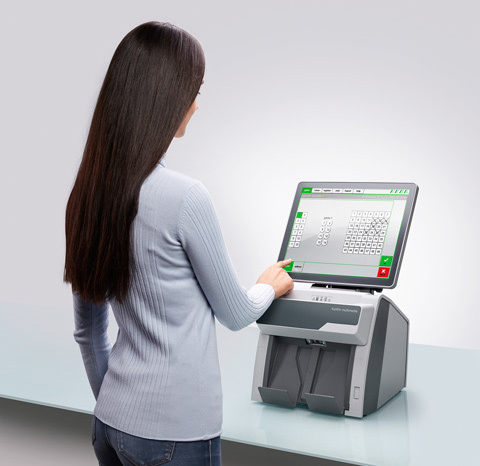 The KeWin lottery terminals are based on a standardized technology and software solution. This makes it possible to have an individual and economical mix of terminals in the field and therefore ensures that the investment made in KEBA solutions is protected. A software interface for all KEBA terminals provides an identical, configurable range of functions. The core of the KeWin software solution is the LoTAP application platform which was developed by KEBA. The lottery terminal application platform, LoTAP, was developed by KEBA in order to make the application software independent from the hardware and to support the use of different hardware components. The platform is available for multiple operating systems and makes it possible to use different applications on the terminal. LoTAP is object-orientated and provides software services for different hardware components via a defined interface that is available for a series of different programming languages.